Tired of looking at the same lawn you’ve had for years? 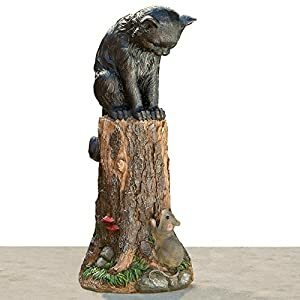 Then explore our unique selection of garden ornaments all at affordable prices. Building and decorating a new garden in and around your lawn can be so much fun. 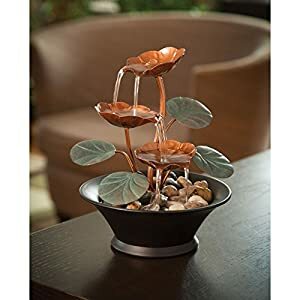 From an attractive frog garden ornament, cooper toned wind ornaments to Zen garden tiered potted fountains with LED lights, we have the best garden ornament ideas and Japanese, stone and metal garden ornaments right here. Shop now and get free shipping! 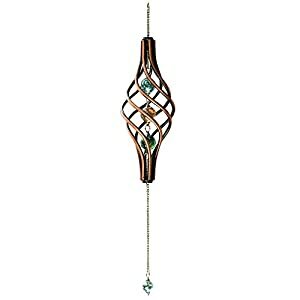 Twisted cage holds 3 iridescent marbles with 1 additional marble that swings from a metal chain. This sculpture hangs beautifully in any garden. Makes a great home décor gift for the backyard. Fountain's small size helps it fit almost anywhere in your home. Compact and lightweight, the water lily fountain features copper-colored metal blooms and metal leaves that have a green patina. 341 queries in 0.769 seconds.